If you love a dog-friendly cinema screening, this Summer has you sorted, with many venues hosting special dog cinema dates all around London! But does it end here? Not at all! 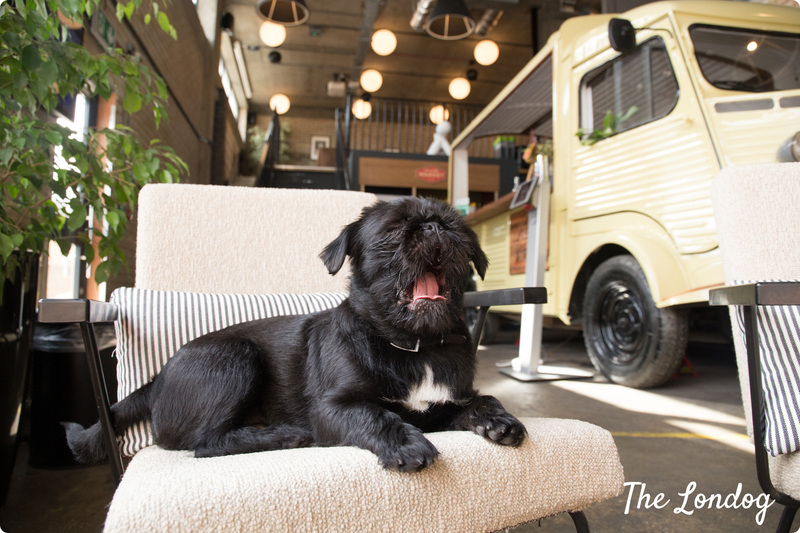 We went on a hunt for Summer regular outdoor cinemas that allow dogs on a permanent basis. In this post we tell you all about what you shouldn’t miss with your canine friend before Autumn comes! This post will be updated as soon as new dates are released. Special dog-friendly screenings – i.e. one-off or series of shows open to canines – have been a big hit since last year. If you like being surrounded by dogs and meeting like-minded people, this is a great thing to do with your four-legged companion and you should get your ticket for one or the scheduled dates at one of the venues offering them in London (with more dates to be announced soon!). 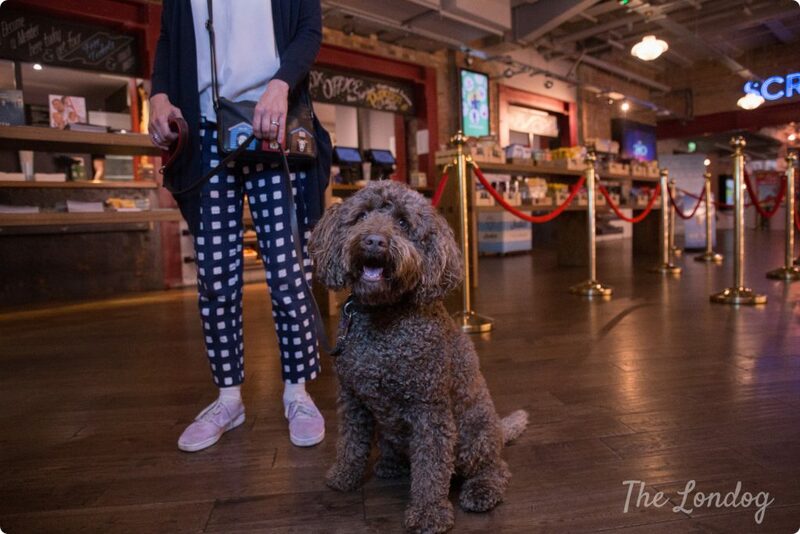 Our big favourite, Picturehouse Central, started hosting regular special dog-friendly cinema screenings last Summer (approximately one every 6 weeks). Humans and dogs that are quick enough to get their tickets before they sell out (it is very common for these shows) are able to enjoy a film, in the comfy red chairs of this beautiful historic cinema (with a blanket to cover the seat to accomodate their furry friends and doggie water bowls provided). If you want to get an idea about what this is like, you can find our previous reviews here, here, and here or read an article by The Times in which I was interviewed about the dog-friendly screenings here. More dates dates will be included in the Dog Events Calendar as soon as they are released and will be added to this guide as well. Previous dog-friendly cinema screenings this Summer: Sunday 29th July, showing “Mamma Mia! Here We Go Again”; Sunday 12th August 2018: preview of “Dog Days”. 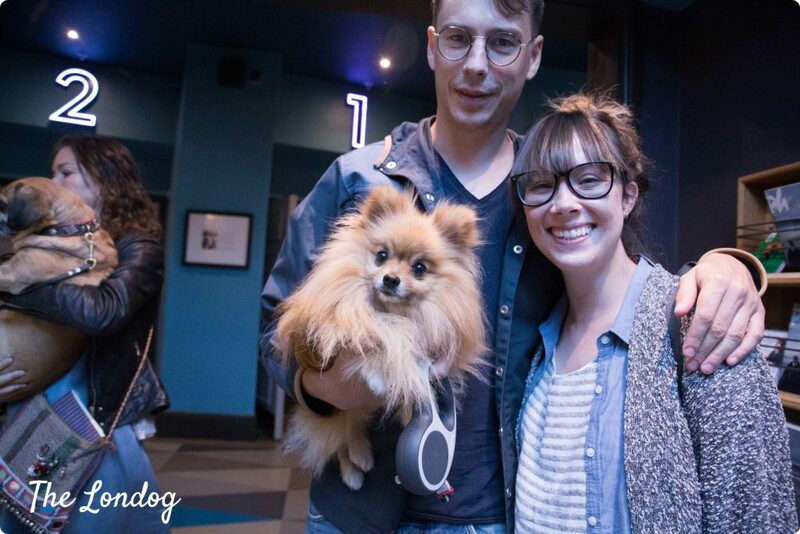 After the dog-friendly screeing of “Solo: A Star Wars Story”, On Sunday 29th July Clapham Picturehouse hosted dog-friendly screening of “Mamma Mia! Here We Go Again”, which marked their fourth cinema date for canines (they previously hosted two screenings of “Isle of Dogs”). Tickets for the previous screening cost £14.10 for adults, £7.70 for children, and there was a reduction for families at £30.80, while dogs went free! Like at Picturehouse Central, blankets to cover the seats and water bowls are provided. If you want to combine your dog cinema date with some more dog-friendly activities in the neighbourhood, you can have a walk at the Common, and let your dog having swim in the pond. Nearby there is also dog-friendly The Windmill Clapham pub – where resident pub dog Max will greet you – and you can stop by for lunch. They hope to make it a reasonably regular appointment, so we are keeping our eyes peeled to see when a new date comes out and we’ll keep you posted! Also Greenwich Picturehouse held a new dog-friendly screening of “Mamma Mia! Here We Go Again”, after their “Isle of Dogs” one earlier this year. No new dates have been confirmed yet, but we’ll let you know. 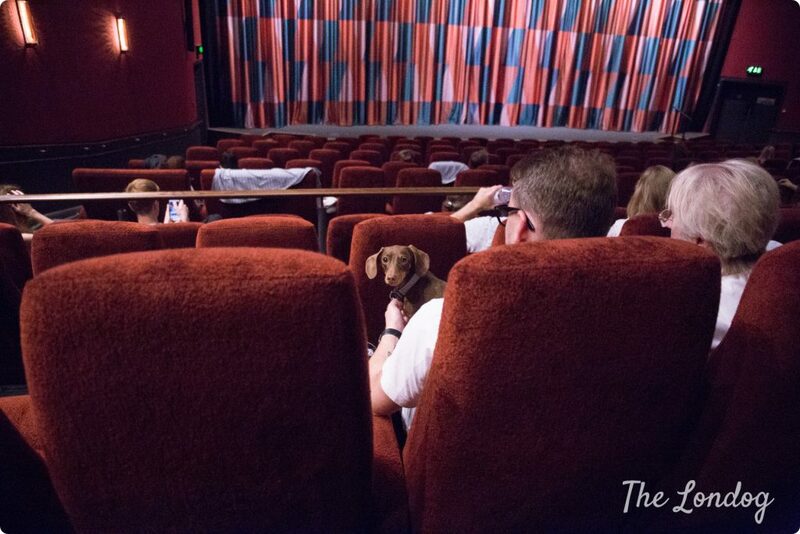 The Ritzy cinema in Brixton joined in with a dog cinema screening of “Mamma Mia! Here We Go Again”, on Sunday 29th July 2018. No new dates have been confirmed yet, but we’ll let you know. 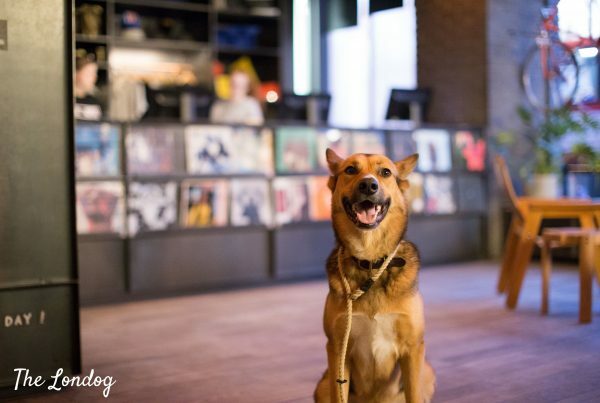 The Exhibit in Balham is continuing its Puppy Brunch Cinema Club, combining brunch and dog cinema screenings, with more dates. This time it will show “101 Dalmatians” with a number of dates in August on Sunday 12th, Sunday 19th and Monday 27th August 2018. You can choose between brunch and cinema (£15) or brunch + cinema + 1.5 hours of bottomless bubbles (£30). Also the Exhibit B, in Streatham, is in the game with their Puppy Brunch Cinema Club, and invites dogs and their owners to enjoy brunch and a silent cinema screening of Walt Disney classic “Lady and the Tramp”, on Saturday 4th August and Sunday 26th August 2018. The ticket cost (£25) includes brunch, cinema and bottomless bubbles. 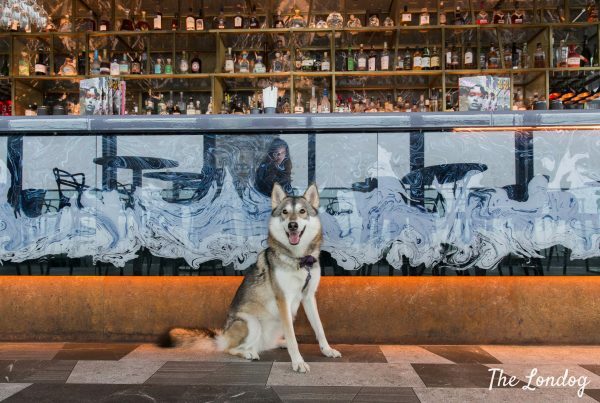 With so many special dog-friendly cinema shows, one may start wondering whether there are any venues that are always dog-friendly. 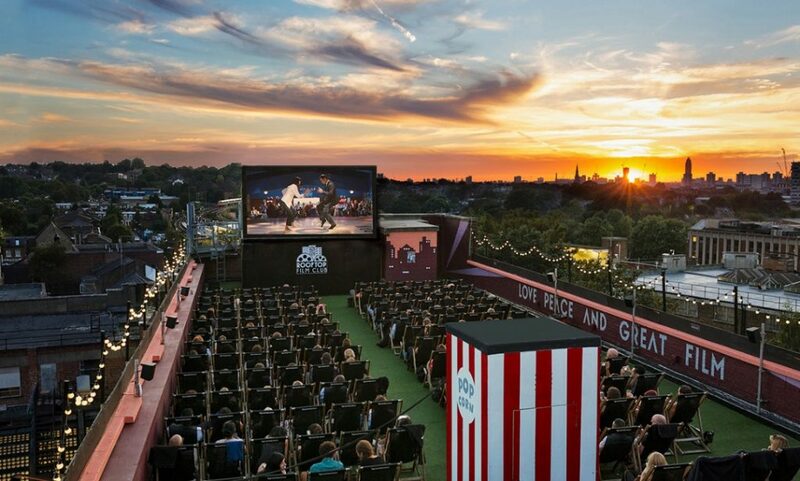 We went on a hunt for them – especially with a thought to the many outdoor Summer cinemas in town – and this is what we found! Unfortunately, the vast majority of outdoor cinemas don’t allow dogs. This is the case of Somerset House’s screenings (as I confirmed with the staff), The Luna Cinema (see their FAQs), The Nomad Cinema (see their FAQs), Rooftop Film Club’s Queen of Hoxton venue and Rooftop Film Club’s Roof East one, and City Cruises Time Out Movies on the River (as I confimed with their staff – as a side note, canines are not allowed on board for their dining cruises either, but they are allowed “at the captain’s discretion” on sightseeing cruises). Also, Pop-up Screens is not dog-friendly nor is the Backyard Cinema (as confirmed with the staff). 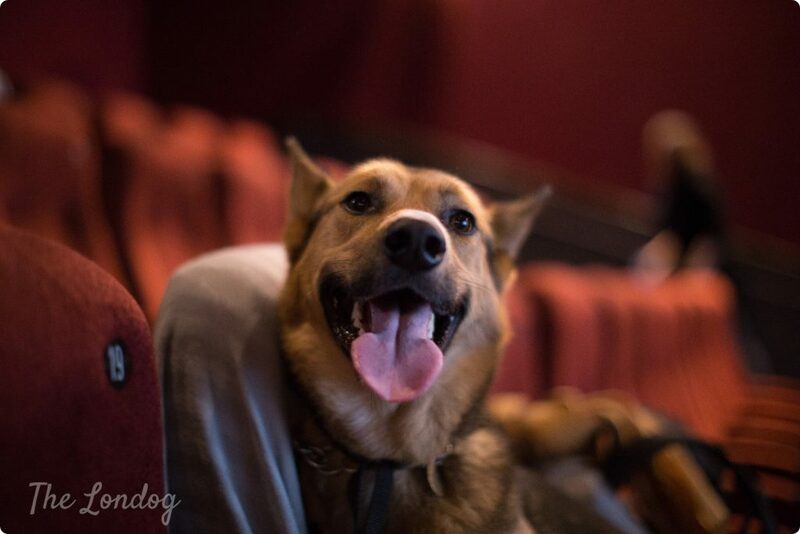 However, you will be pleased to hear that there is at least one one cinema (we are still doing some digging for the dog policies of a few more) that is always dog-friendly to any and all screenings, plus at least one cinema festival. 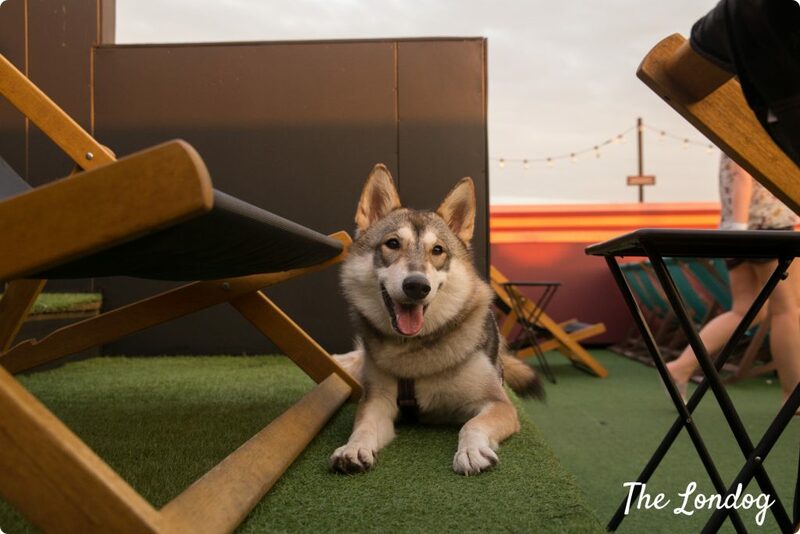 The Rooftop Film Club’s Bussey Building cinema in Peckham (South London) allows dogs to any and all screenings. We tell you all about it in this dedicated blog post. Below is just a little hint. First, the Bussey Building rooftop cinema is a silent cinema (you get headphones to listen to the film)! This means that you don’t need to worry about the volume of the screening for your dog! 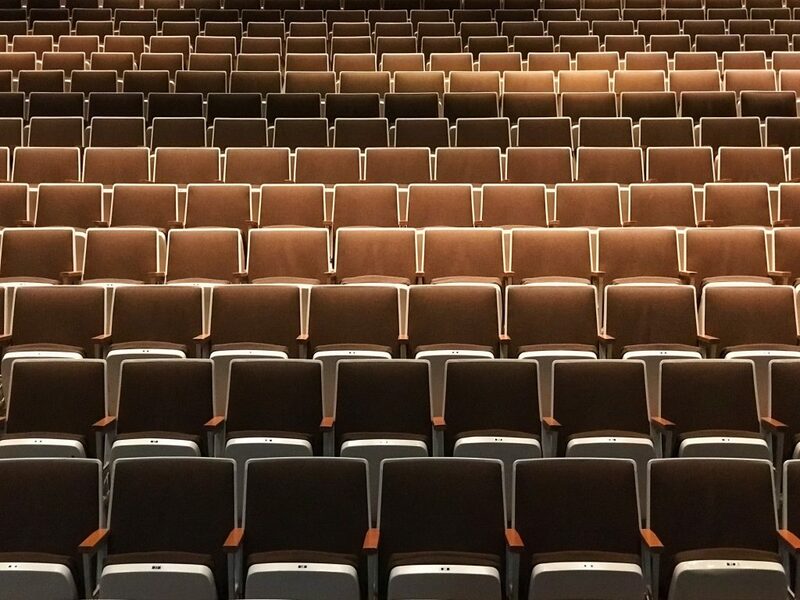 My concern before attending our first dog-friendly cinema, last year at Picturehouse Central, was exactly that it could have been unsensible to bring a dog for their sensitive hearing and I have spoken to many people who have the same worry before going. Most cinemas show films at a lower volume than normal for this exact reason, but what best than a silent one? Second, Bussey Building’s cinema shows a mix of old classics (such as Top Gun, Dirty Dancing, etc) and recent releases (as for instance Three Billboards Outside Ebbing, Missouri; A Quiet Place; La La Land). I lost count of how many times I heard dog owners complaining that special ad hoc dog-friendly screenings sometimes pick uninteresting films, or films featuring dog films that have the (unwanted) side effect of instigating agitation in the canine audience. For this majority (with which I tend to agree), the goal of going to the cinema with their dog is not to have their pooch watching the film, but rather being able to enjoy themselved and not having to leave their four-legged behind while they go out (avoiding the choice between sacrificing going to the cinema in order not to leave their dog at home or going anyway and feeling guilty about it). For this reason, looking at the Bussey Building rooftop cinema listing, this seems to offer the perfec range of choices! Tickets are priced £15.95 for the lounge seat (on deckchairs) and £18.50 for lounge seat and bottomless popcorn, while double deckchairs start from £22.50 (more options on their website). Streatham Free Film Festival (entirely run by volunteers) is set to take place from 15 to 29 September 2018, with pop-up cinemas appearing all around Streatham. The programme will be released soon, but, in the meantime, we confirmed with the organisers that, in general, they allow dogs at their outdoor screenings. 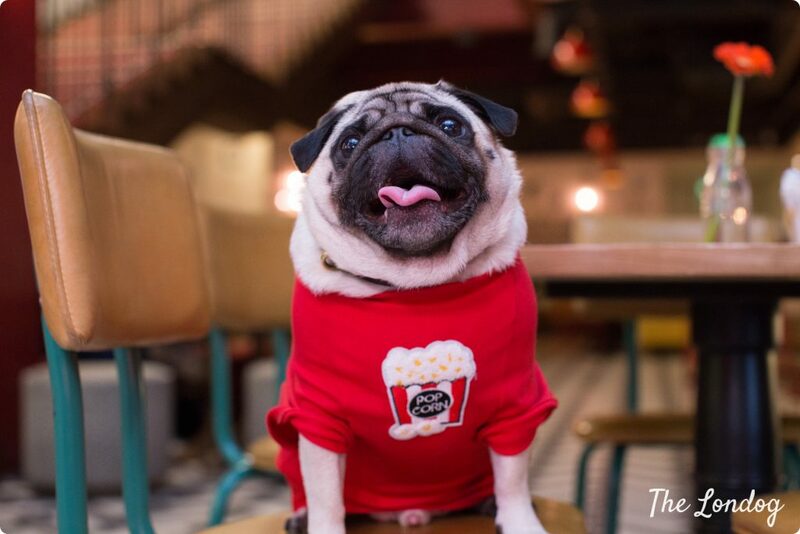 In the past, they have included dogs in screenings in pubs as well as out large screenings, adding that “we have had Alfie the Pug be our best PR weapon when flyering to promote our films”. They also revealed,”We hope to screen Isle of Dogs with a pet-friendly screening next month or in our September festival and encourage people to bring pets”. (Update: 15/08/2018): The date was just released and is going to be Sunday 19th August at Streatham Space Project (all info here)! Charlton and Woolwich Free Film Festival will be on from 7th to 15th September 2018 and we confirmed with the organisers that while for the indoor venues it will depend from the policies of the different commercial premises, their outdoor screenings are dog-friendly. We are currently confirming whether the Peckham and Nunhead Free Film Festival (31 August to 16 September 2018) adopt the same policy too. Thanks for all your good work in researching this! We love going to the cinema but have a dog with severe separation anxiety so its great to all go as a family.